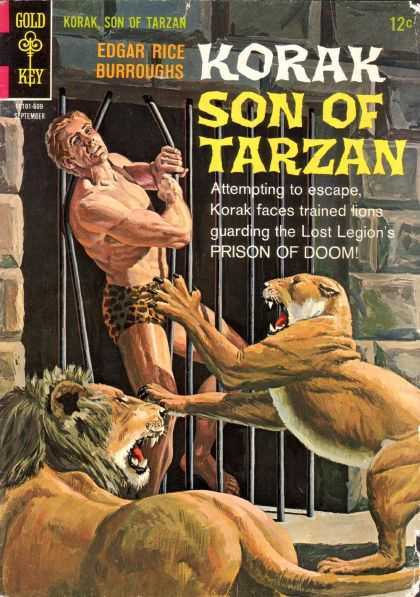 Korak is the ape name of John 'Jack' Clayton, Viscount Greystoke, the son of Tarzan and Jane. 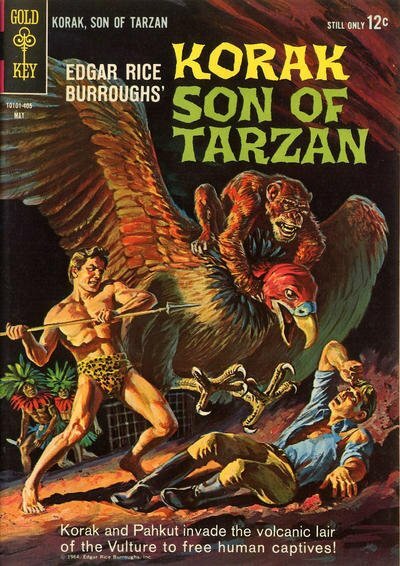 Jack first appeared in the original Tarzan novels by Edgar Rice Burroughs. 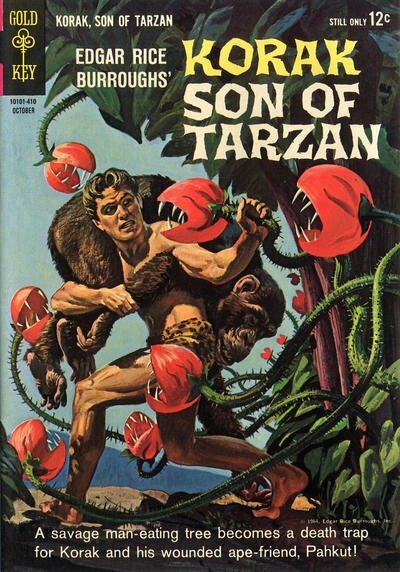 He was introduced as an infant in the non-Tarzan novel The Eternal Lover (later retitled The Eternal Savage), in which the Ape Man and his family played supporting roles. 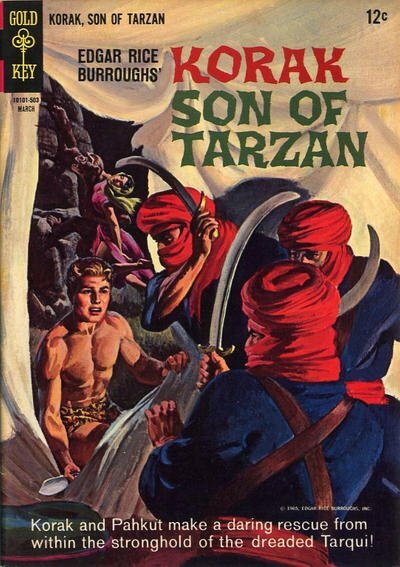 His next appearance (still as an infant) was in The Beasts of Tarzan, the third Tarzan novel, in which he was kidnapped and taken to Africa. 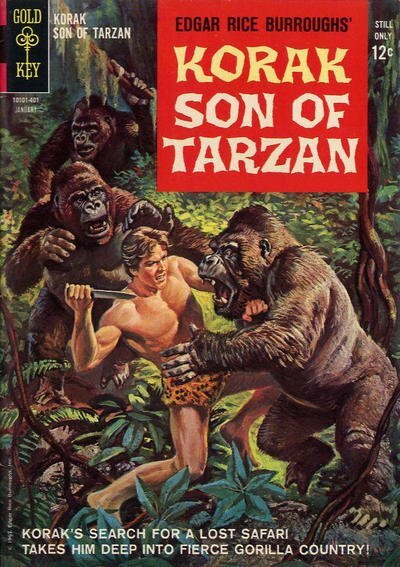 The story of his youth and growth to manhood was told in the fourth novel, The Son of Tarzan, in which he returned to Africa and lived in the jungle, taking for the first time the name Korak ("Killer" in the language of the Great Apes). 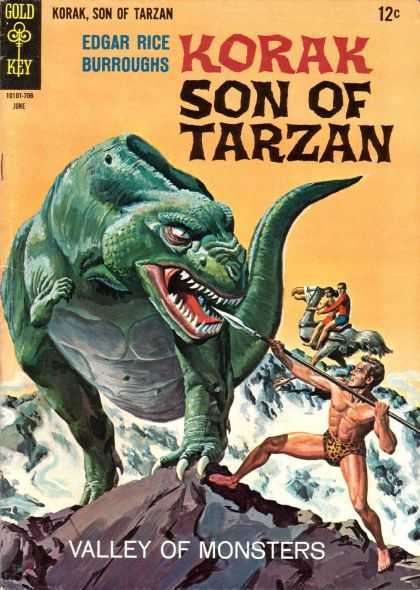 Most references to him were as "Korak the Killer." Half of the book relates to Meriem, the Arab girl he rescues from a beating. 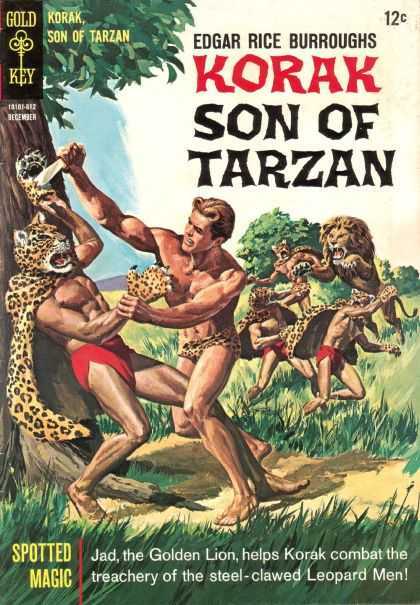 The two of them run wild in the forest for years before being separated. After many adventures they are re-united and eventually marry. The story of the boy's sadness at losing her and her emerging character is conveyed very vividly. 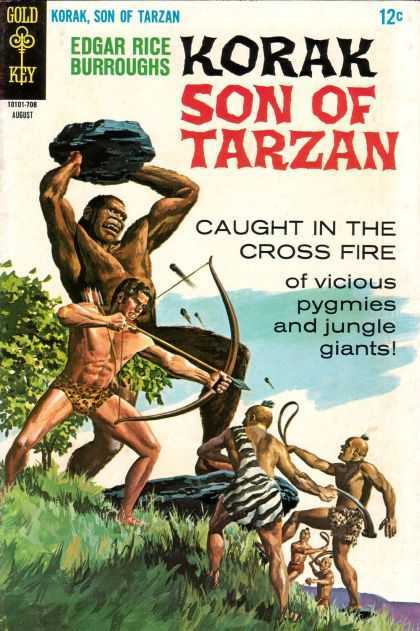 Korak was later used as a supporting character in the eighth through the tenth entries in the series, Tarzan the Terrible, Tarzan and the Golden Lion, and Tarzan and the Ant Men. 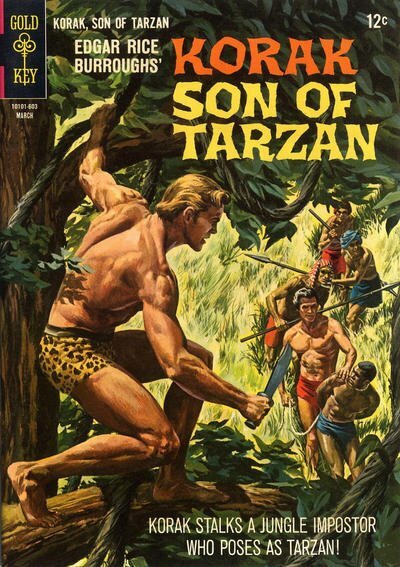 The last of those three also briefly mentions Korak and Meriem's young son 'Jackie'. 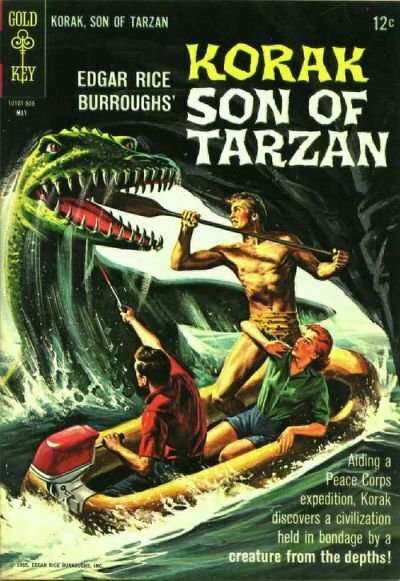 The Bunduki series by J.T. 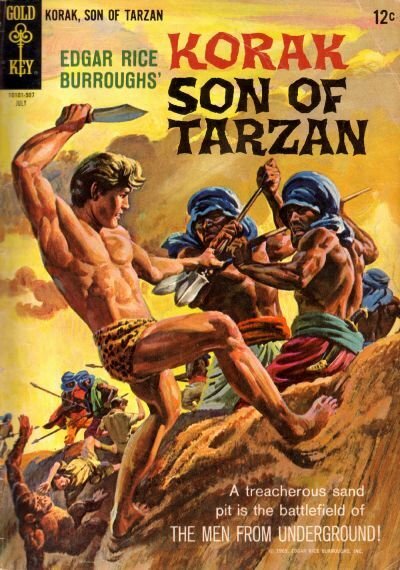 Edson�and authorized by the Greystoke estate�includes Korak and Meriem's granddaughter Dawn as one of two main characters.